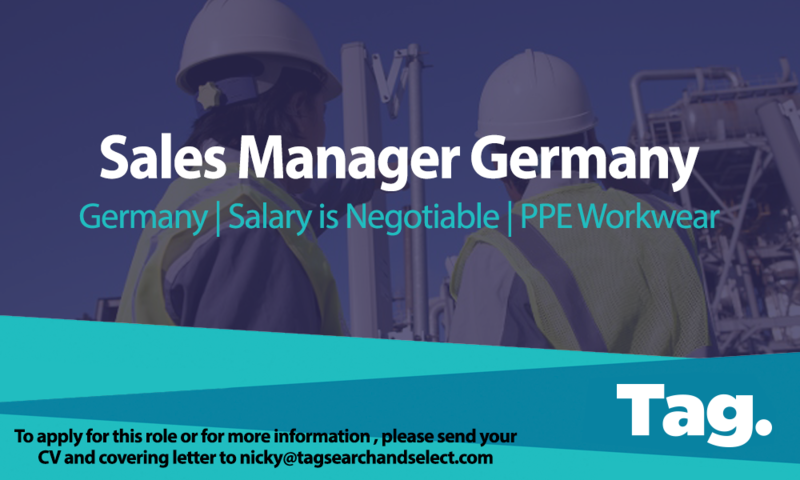 A fantastic opportunity to join a global manufacturer of PPE products working closely within the central European region (Germany, Austria & Switzerland) with the European Senior Sales Manager. Maintaining and developing relationships with both existing and potential customers verbally and digitally. Provide reports on regional sales progress and results & forecast monthly. Address potential problems and suggest effective prompt solutions. Help to improve efficiency and customer management by driving key projects. Help to analyse regional market trends & customer information and monitor any new opportunities for growth. Be a part of a growing sales team, supporting strategy development and team communication. Become a contact between the company and both its potential and existing markets. Listen to customer requirements and propose appropriately to make sales, challenging objections with opposing views to get the customer to buy. Through our local partners, support tender business. Prepare and analyse the annual budget for the area of responsibility. Achieve sales targets and help to manage financial forecasting for regions. Develop key accounts with the senior sales manager in line with the sales strategy. Be able to effectively negotiate terms in agreements and close sale. Should have previous experience in key account and sales management. Have strong computer literacy in all Microsoft office and database applications. Possess a solid understanding of pricing, sales and gross margin. Experience of working within PPE/Workwear and premium branded companies. Any additional languages or cross-cultural experience is a plus. CRM system experience is a plus. To apply for this role or for more information please send your CV and covering letter to Stuart Law at TAG Search and Select for a confidential consultation.